Pratap Raghuvanshi, Group Head National Field Service Operation- Hyundai Motor India Ltd spoke how his company tries to balance VOC- Voice of Customer and SOP- Standard Operating Procedures. How through doing a great Job at After Sales, they are able to generate leads from After Sales Customers and sell 36,000 Additional New Hyundai Vehicles every year. 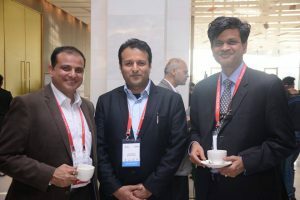 There was an Interactive session on Adoption of International Best Practices conducted by Sanjeev Garg – Former Global Head Customer Care Tata Motors CVBU and Anuj Guglani CEO World Auto Forum. 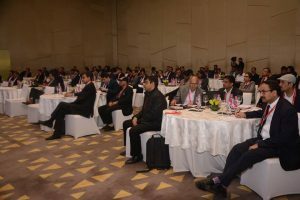 All the participants were encouraged to share, interact, give feedbacks on the Top 8 International Best Practices that World Auto Forum had handpicked. There were several innovative ideas and discussions around After Sales Service of EV’s, International Labour Rates, Turn Around time ( TAT), Remanufacturing, Recycling and more. Rajesh Mukhija, Head After Sales Hero MotoCorp spoke about the success story of Hero as being World’s Largest Two Wheeler Co last 17 Years in a row. He attributed to the importance given to the Service Dept in an Organisation, The relationship with Channel Partners, Tracking Service and utilisation of Data Analytics as few amongst many more attributes to Sustainable Market Success. The Association of ARD’s – Authorised Repair Dealers ( Smaller Repair Points) with Hero led to several of them graduate to Hero’s Mainstream Authorised Dealer Network. The Concept of Mobile Workshops was introduced at Hero, way back in 1998. These Initiatives along with many more took the company’s touch points at 90% Taluka Level. Yash Pal Sachar GM Parts, Honda Car India spoke how 15 Years back, 3 Parts Stock months was a standard across Industries. Now thanks to technology & better Lean Practices, even 1 to 1.2 Months Stock gives 98% Parts Availability and much better Profitability. He emphasised the importance of collaboration of Sales, Service & Spares (3S) for profitability for entire value chain. There was an interesting contest titled #PureDelhiAir, held during the 3rd IVASS. Participants were encouraged several times from the stage to go the Pin board outside the hall and post their ideas and suggestions to clean Delhi air. The best ideas were selected & rewarded by Dr R.K. Suri, Former Director, Ministry of Environment & Forests, Govt of India. 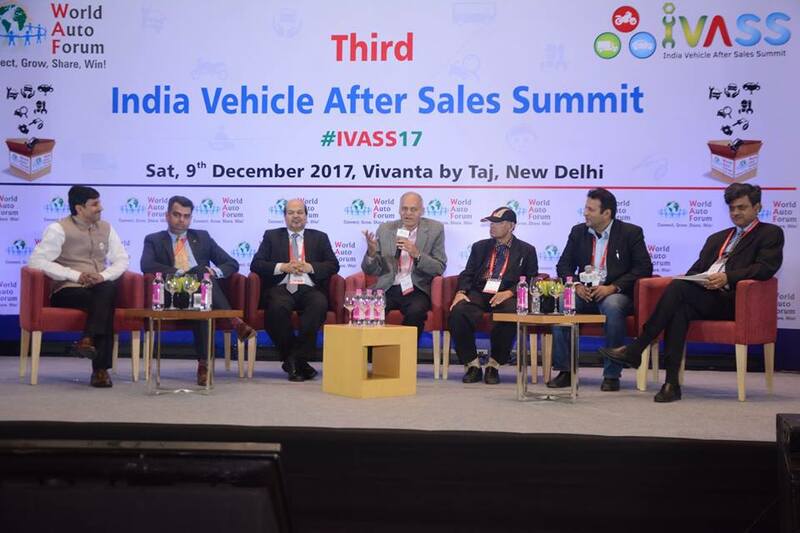 The Summit Partners powering IVASS were Gallops Motors : India’s Best and Finest Auto Retail Group across CV, PV and 2W. Autoji : One of the most Innovative Companies in Auto Parts, Warehousing, Supply Chain with several Best Practices and Pioneering Initiatives. They are also the OEM Partners of Several CV, PV, 2W Majors. MotorUncle.com : An Online Portal for the confused Car Buyer and Hassled Car Service Customer. MU has been selling cars online and also getting solution to Customers with service Woes. 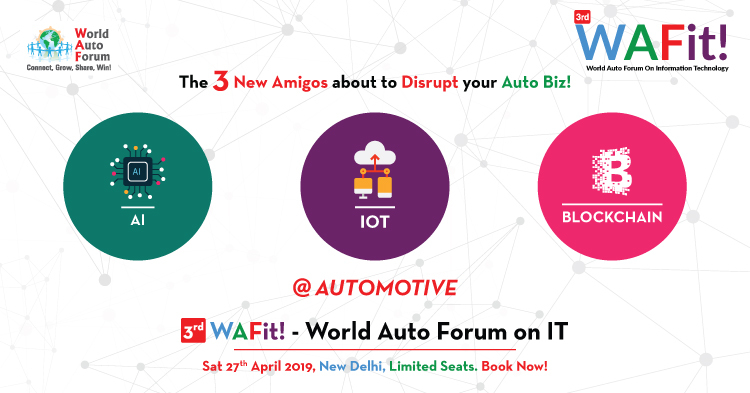 Kshitij Saxena, CEO Autoninja shared how AI, Cloud, Machine Learning coupled with Business Intelligence and Customer Voice & Data is empowering Auto Dealers to transform their Customer Sales and Service Experiences dramatically. Autoninja has become India’a largest Saas based Auto Dealer CRM in just over 2 years. 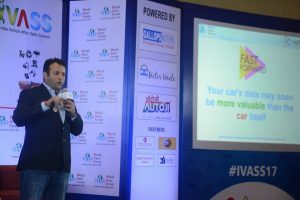 Sudhir Malhotra Head After Sales & Customer Care, Renault India spoke about evolving Customer expectations. What Aggregators have done to Cab and food business can be very soon done in our Industry too. The Location of the Workshop might soon be lesser important than it’s Listing on a Digital Platform. The other trend can be Self Serving Kiosk just like McDonalds or Self Check-in at the Airports. The Consumer wants more control. Additionally widespread availability of information and data to consumers to cross check and verify, is keeping the Service staff on their toes. 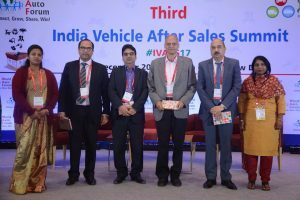 Rajendra Bhat, Head After Sales TVS Motor Company Spoke on the challenges and the Innovations to fix them. He spoke on new tech like Hybrid, EFI, EV and the readiness at OEM and Dealer Level. Optimising Dealer parts inventory owing to wide product range is a big Challenge and Opportunity. Speaking on Balancing VOC and SOP, he said 70% of the operations can be supported by SOP. Balance 30% needs to be empowered with Culture, Communication & Problem Solving Skills. Sound HR Department and Practices at Dealership are Prerequisites to this. 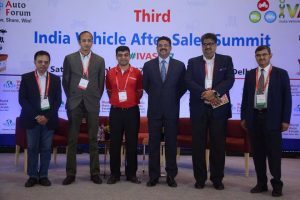 Sanjeev Aggarwal Head After Sales Nissan India spoke candidly on Best Practices in Vehicle After Sales. He spoke about the New Brand Ambassador of the After Sales Service- The Driver who comes to pick and drop the Service Vehicle. He said Service is “Sewa” and we need to be Supportive & Transparent and offer Sewa to our Dealer Network, our People, Our Customers, Our Company. Alok Kapoor Head Franchise Operations and Marketing Mahindra First Choice Service shared the successful Online Parts Marketplace they had built, where aged Dealer inventory got disposed off and few OEM’s and their dealers could buy and fulfil long pending back orders, leading to an Ultimate “Win-Win”. Anuj Guglani, CEO World Auto Forum reiterated the importance of Environment Protection at Service Workshops. The Service Workshop’s Toxic Wastes viz Foam, Lubes, Coolants, Plastics reaching the sewer lines and excessive ground water extraction for vehicle Washing is a big concern. He summarised that there needs to be an active Program comprising Enforcement, Audits, Incentives and even consumer involvement for preserving the environment.